The New York Theatre Experience, Inc. (NYTE), is a nonprofit corporation that uses new and traditional media to provide tangible support and advocacy for the theatre community in New York City. Through our two primary programs, NYTE New Media and NYTE Small Press, we help theatre companies and theatre artists—especially those in the nonprofit and indie theater sectors, and those in underserved communities—attain the recognition and rewards that their work deserves. NYTE’s 7 interconnected websites highlight, nurture, promote, and advance the work of thousands of indie/nonprofit theatre practitioners making groundbreaking and foundational art in New York City and around the US, and inform and grow theatre audiences. The oldest and largest of our sites is nytheatre.com. Last year, it generated more than 7 million hits: people use it to learn what’s playing in theatres in New York City, how to get to those theatres, and how to buy tickets; then they click on ticketing links and buy tickets (an estimated 1 million dollars’ worth in 2008) and attend performances—and then they return to nytheatre.com to use our venue listings, read interviews with artists, or check out specific reviews. 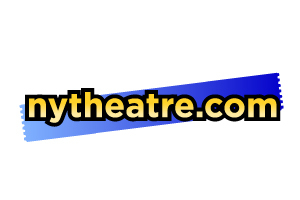 nytheatre.com differs from other theatre sites by focusing on the nonprofit theatre community. More than 90% of shows in New York are produced by nonprofits; most of these are small companies struggling for limited funding and audiences. Because their marketing budgets are modest (or even nonexistent), it’s hard for these companies to get noticed by media and audiences. And notice is what they need and deserve: they are the laboratory and experimental wing of American theatre, the incubator for new artists, new forms, new styles, new ideas. Our vision is to level the playing field within the New York theatre community—to make sure that underfunded emerging nonprofit companies are given ample, enthusiastic coverage to help them reach the public and build the audience they need to survive. We do this by listing more shows on nytheatre.com than any other website we know of (more than 2,000 of them in 2008) and by reviewing more shows than anybody else (910 in 2008). Our success in serving the nonprofit/indie theatre community was acknowledged last year when we received the Stewardship Award from the New York Innovative Theatre Foundation. We are a very lean organization (annual budget under $100K), with one full-time staffer (Executive Director Martin Denton). He edits nytheatre.com and our other websites, creates much of their content, and handles all web/systems development. The rest of our content (there’s nearly 56 megabytes of data within nytheatre.com right now) is created by a team of volunteers, all theatre professionals in the nonprofit sector. They give freely of their time, writing reviews and other material, to spread the word about this diverse, inspiring, and underserved community. NYTE is a Microsoft shop. (TechSoup donations make this possible, and we’re grateful for that!) We use Office Professional 2007 for all of our administrative tasks: Word to compose documents and letters, PowerPoint for presentations, and our entire accounting system is programmed in Excel. We use MapPoint to geocode locations of more than 200 venues listed on nytheatre.com (so that the maps on our website are more accurate than the ones Google would automatically serve based on address). Visual Studio 2005 has proved truly transforming for our organization. All of the data that drives nytheatre.com is on a SQL Server Express database. Using T-SQL and Visual Basic 2005, we have built a system that converts this data into XML files that in turn serve as the back end to nytheatre.com. We love the flexibility this approach enables, and our budget loves its extremely low cost. Using XML means we don’t have to host SQL Server databases on the Net and we don’t have to worry about administering or securing them. We would have to pay people to do those jobs, or ask volunteers to assist in these tasks in lieu of creating content for the website—in other words, we would be diverting our very scarce resources from doing work that directly serves our constituency (reviews, listings, articles on nytheatre.com). We can’t afford to do that. The SQL Server/VB 2005 system enables us to manage and mobilize our volunteers more effectively too. One of the biggest projects we undertake each year is to review every show in the New York International Fringe Festival. We’ve been doing this since 2002, and it’s a vital service that fills a need no other outlet has ever been able to meet. FringeNYC is the largest multi-arts festival in North America, bringing together artists from around the world, who present about 1500 performances of over 200 diverse theatre, dance, puppetry, comedy, and dramatic productions in 20 venues in Lower Manhattan during a 17-day period in August. The festival attracts tens of thousands of visitors and was last year recognized by Mayor Bloomberg for its contributions to the city’s cultural and economic landscape. nytheatre.com covers this festival comprehensively, starting with previews a month before the festival begins and continuing with reviews of every show, posted during the short span of the festival in August. We accomplish our FringeNYC coverage with the same one full-time staffer plus about 75 volunteers and with no addition to our annual budget. How? We use a proprietary automated scheduling system, built originally in Access and now being upgraded to SQL Server, which allows our volunteers to choose shows online and submit reviews via email, all the while being tracked by the site’s editor from his desktop. Producers and festival staff receive automatic email notification when reviews are posted. Using VB2005, we’ve been able to add features such as tagging (to our FringeNYC previews) and direct ticketing links (to both previews and reviews) with no additional investment in infrastructure. Microsoft technology also enabled us to add the “Trip Planner” to nytheatre.com in 2007. This feature answers a question many visitors to NYC have: what shows will be running when I come into town? The SQL Server database consolidates information from all of the ticketing agents that service NYC theatres (TicketMaster, Tele-charge, TicketWeb, etc.) to produce a customized page that shows the reader exactly what shows are available during the period of interest. And the Trip Planner results include shows at all price points—small nonprofit/indie theater offerings as well as Broadway/off-Broadway hits. The software we’ve received from Microsoft via the TechSoup donation program has enabled us to build a user-friendly, feature-rich website that promotes the work of hundreds of nonprofit theatre companies to an audience of 3 million people annually. It’s enabled us to grow and expand the site without having to invest thousands of scarce dollars in software/development; this in turn enables us to provide all of our services to our nonprofit constituents at no charge to them. The content on nytheatre.com builds audience, sells tickets, and helps hundreds of NYC theatre companies stay afloat and focus on their mission. Rather than having to spend money and resources they don’t have on promotion and advertising, these organizations are able to innovate, experiment, and create new art, contributing to the diverse cultural landscape of the largest theatre community in America.